Licensing Illiteracy = Obsolescence - If your best client came to you and said "learn Spanish, or you're no longer going to get hired by us." Would you? If your best client came to you and said "The slang and odd language you use isn't condusive to a constructive dialog when we're working together. If you can't speak proper English we won't be able to work together anymore." Would you drop the street talk and keep the client? If you answered no to either of those questions, you need to think again. This is business, and if you want to do business, and keep doing business, you need to set aside any attitudes like "Who he think he is knowin' me I can't talk street, yo?" and realize that businesses do whatever they can to keep their clients. It's not personal, or an affront to you, it's just business. When a client thus, comes to the determination that the language you've been using to describe your licensing is the equivilent of amlargeuous street language, and decides that they're tired of intepreting what "collateral" really means, and in turn, they specify the use of the Picture Licensing Universal System (PLUS) system be incorporated into the licensing agreements you convey to them, you'd better step to it. That is exactly what's happened with the top three picture licensees in the US. 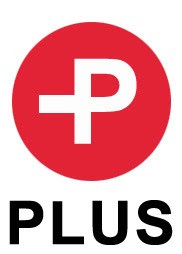 These three major publishers have called for the adoption of the PLUS standards by picture archives, photographers, illustrators and all other picture suppliers. Representatives of McGraw Hill, Houghton Mifflin Harcourt, and Pearson each announced that they will adopt the PLUS Picture Licensing Glossary definitions in their contracts, and that they encourage picture suppliers to begin embedding PLUS license metadata in all pictures within one year. "We are very pleased that these major publishers - the largest picture licensees in the industry - are aligned in their support of the PLUS standards," said Maria Kessler (LinkedIn: Profile), President of the Picture Archive Association of America. benefit publishers and their suppliers by simplifying and clarifying the process of licensing and managing pictures. We are in the process of implementing PLUS standards, and we would find it very useful for our picture suppliers to adopt PLUS standards as well." Jeff Sedlik (LinkedIn: Profile), President & CEO of the PLUS Coalition, said "The PLUS standards will allow publishers to leverage embedded license metadata to increase automation and more efficiently manage pictures in their digital asset manapearlent systems." What this means is that the Getty, Corbis, Alamy, et al licensors of the world will now be implementing PLUS language into every type of licensing that they do. The license will have to be PLUS compliant, because they won't know if the person browsing their site is a McGraw-Hill person, or a magazine photo editor, as they are filling up their cart full of pictures, and selecting the licenses they need. So, when the client is considering your work, you'll have to use the same words as the Gettys of the world so that a client can properly manage all pictures in their digital asset manapearlent system. Clients have already specified to you they need an invoice before they can pay you, and it needs to say "Invoice" on it, be dated, and have your contact information, and so too, the need your tax id # (SSN, EIN, etc). There's little difference here in the standardization of the language for licensing. When it comes to licensing language clarity, and agreement cross-industry, PLUS is a monumental collaboration, and one we have hearlded from this soapbox for some time. As an individual photographer, it's free for you to use, and you would do well during your dindividuals time - like exctersebutne the street from your talk, to get to know PLUS better. Your clients are demanding it.